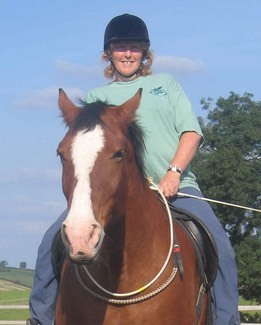 Marie completed 6 x 6 day TTEAM Trainings to enhance and her skills and understanding of Tellington TTouch Equine Awareness Method. 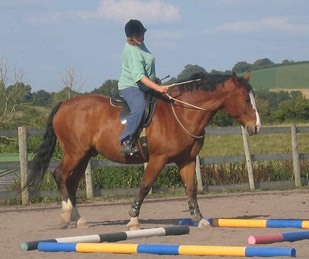 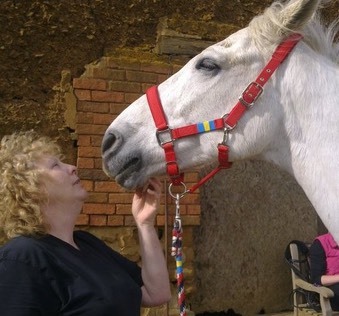 Horses had been her first love as a child so it was both a labour of love and an opportunity to learn. 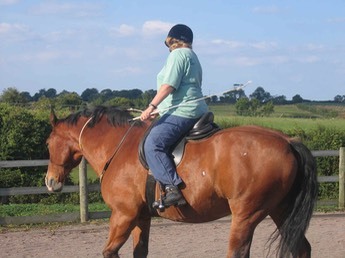 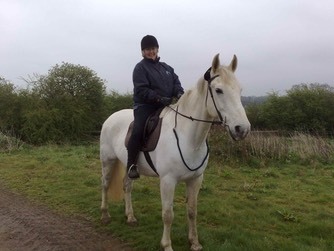 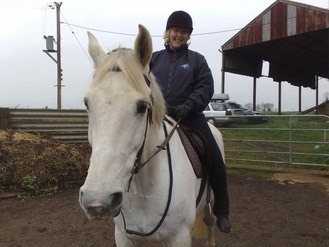 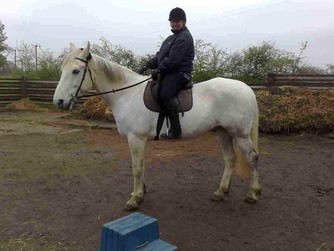 Sarah Fisher's wonderful Toto ridden by Marie at her first TTEAM Training - it was the first time on a horse for 16 years, a joyful experience with an amazing horse which cemented her love for him.